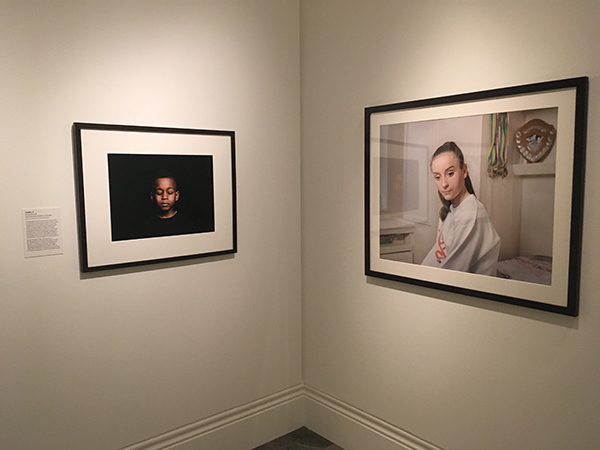 The portrait of Danel, 9 years old, a survivor of the Grenfell Tower from the series ‘Children of Grenfell’ and the Portrait Erin, 12 years old, a survivor of the Manchester bombing was submitted to the Taylor Wessing Portrait Prize 2018. Both images were successfully shortlisted guaranteeing the inclusion in the exhibition at The National Portrait Gallery, London. 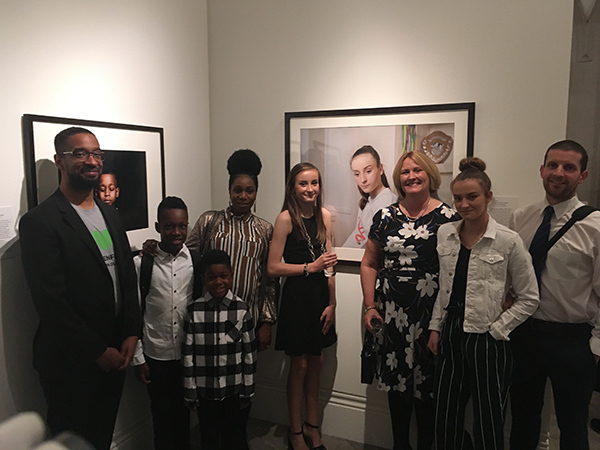 The Danel portrait inclusion highlights the disconnect between ordinary people and the establishment whilst at the same time its presence reminds all those affected by Grenfell that they are valued. 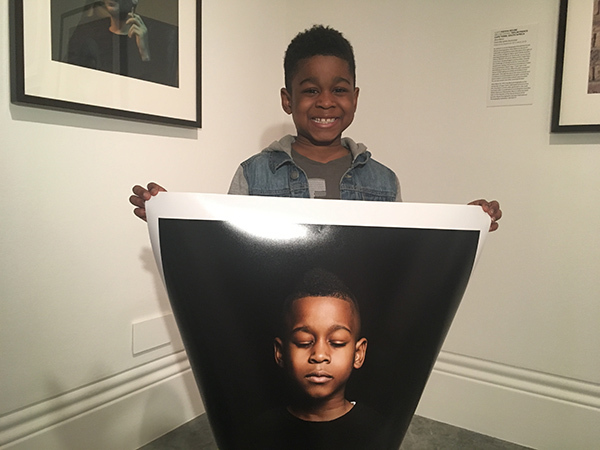 Further, the inclusion in such a prestigious international prize brings an otherwise impossible level of exposure offering the visitor* an opportunity to engage with Danel’s portrait as a vessel for our empathy and sympathy for all affected. In the presence of children it is impossible to not consider their potential and reflect on our own; this was pronounced as I faced Danel with my camera during the capture of his image; his future has been inevitably altered by his experience. Photography can be more than just documentation and the inclusion in a prize exhibition is more than celebration of craft and ego. The process of creation and the bringing of the work to the gallery space offers an opportunity for further understanding and potential for healing. This documentation records Danel with his mother and brother returning to his portrait for the first time in the elitist gallery environment. It is both a celebration and examination of the processes that are defining them. The gallery was specially closed to the public to allow them time with the work. A film crew was invited from ITV news to record the event. *The portrait was voted as the favourite by the visiting public. The inclusion of Erin’s portrait emphasises the therapeutic possibilities of photography. 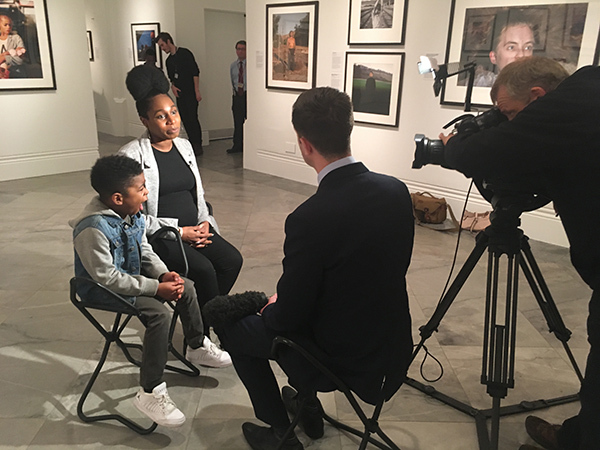 Similarly to Danel and the other children survivors of Grenfell, the act of attention during the photographic act itself offers the possibility of healing and she is also a focus for the empathy of others for all those affected. Erin’s unique circumstances as a survivor of a terrorist attack have left her (as with other survivors) with diagnosed PTSD. 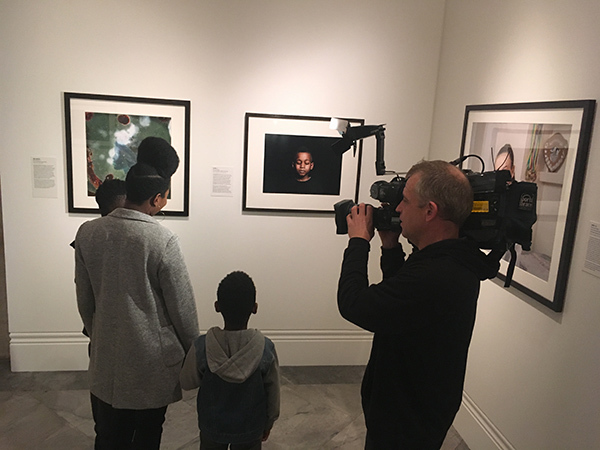 The inclusion of her portrait at the National Portrait Gallery exhibition offered an opportunity to invite the subject to consider attending an event that could have parallels to the Ariana Grande concert. 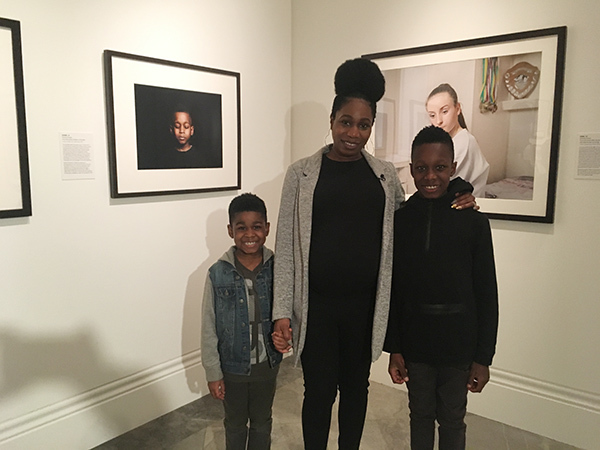 The National Portrait Gallery offered Erin and her family a special space available to her exclusively to recognise her value to them in attending and to help her manage the experience of being once again in a large crowd in a confined space. Erin had trouble liking her own image but since has requested a print and the family have put it up in their home. The gallery created a safe space for Erin to recognise her PTSD and the potential difficulty of attending a busy and crowded space.